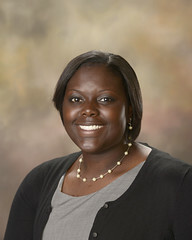 In addition to her studies at Auburn, Royston has participated in the Appalachian Community Development Alternative Spring Break; she is an afterschool tutor at Notasulga Middle School and High School; she has been an on-campus resident assistant at Auburn for the past three years; and last summer she was a Living Democracy Fellow in Hobson City, Alabama’s first African-American municipality. “I am very honored to be selected for the Mitchell Scholarship,” Royston said. “Entering Auburn, I knew I wanted to prepare myself to positively influence the lives of others living in rural towns like my hometown of Roanoke, so I decided on a career in public interest law.